Chesil Sailability: inspired by the 2012 Paralympic Games, and based at the Paralympic sailing venue on Portland, we are a local group who are passionate about going sailing, regardless of disabilities. 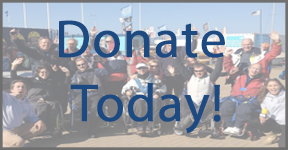 We are also passionate about helping everyone involved, sailors with disabilities and volunteers, to achieve their aspirations at any level of sailing; whatever their goal, we’ll help them get there! Chesil Sailability is a volunteer-run charity that was set up by a group of people who were inspired by the 2012 Olympic and Paralympic Games, and the sailing, held locally in Weymouth and Portland.